Winter is savage and cold in Lapland. 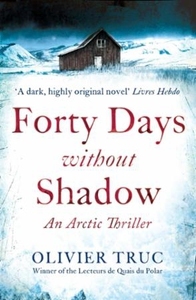 When a priceless local relic is stolen from Kautokeino, a village in the middle of the isolated snowy tundra, detectives Klemet Nango - a familiar face in the rural community - and Nina Nansen, fresh out of the local police academy, are called to investigate. There are just a few days until the locals will host a UN conference on indigenous peoples, and Klemet and Nina are under pressure to retrieve the artefact. When a local reindeer herder is found brutally murdered soon afterwards, Klemet and Nina immediately suspect that the two events are linked. But the villagers don't take too kindly to having their secret histories stirred up and the duo is forced to cross the icy landscapes alone in search of the answers that will lead them to a killer. Set in an alternately savage and dreamlike Lapland, this compelling, award-winning thriller tells the story of a native people fighting to keep their culture alive in a modern world of ruthless destruction.